– The first episode featured a couple of other musical references. Avdol’s Stand, Magician Red and it’s signature move, Crossfire Hurricane, are both references to lines in the Rolling Stones “jumpin’ Jack Flash”. – Part 3 was originally adapted into two different OVA’s. The first OVA series was made between 1993 – 94, and this covered the end of Stardust Crusaders. 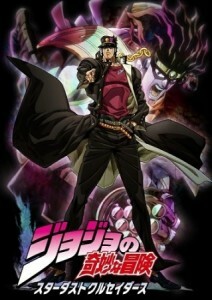 Then, another OVA series was made between 2000 – 2002. to cover the start of Stardust Crusaders. While they were both produced by A.P.P.P two very different teams worked on them. The 2000’s version suffer heavily from the early ‘digital animation look’ of many shows of their era and feature fairly bland direction. The 1993/94 series is substantially better on just about every front and had much staff e.g. Satoshi Kon storyboaded episode 5.